Today on The Meta Show, Aryth announced Imperium plans to make Period Basis a rental region. This confirms the speculation many have offered as the end game of the work of the last two months. In recent months, The Imperium has applied pressure throughout New Eden in various forms. Often they have targeted the rental areas of their enemies. The space lords of these areas largely left the renters to fend for themselves and even imposed fines for losing ships in some cases. When you think about it, this is just a classic mafia-style protection racket without the protection. The only protection renters pay for is not getting attacked by their overlords. Renters had all the risk and very little of the reward. Period Basis will work somewhat differently. 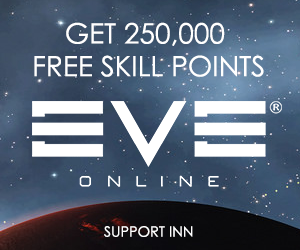 The rental arrangement is as fair as you can be with the tools available in EVE Online. Renters will pay a minimal fee to join and be allowed access to Period Basis. There will be no monthly fees for rental. The Imperium controls the region’s infrastructure. This allows the Imperium to tax those corporations using Period Basis for ratting and mining just like Imperium member-corps. Goonswarm has long possessed the internal systems to manage a region in this way. Based on this design, corporations residing in Period Basis will not be limited to stay in systems they chose to rent. They will have full run of the entire region. Goonswarm will maintain control of most if not all moons in the area for Locust Fleet. While rates and fees are yet to be disclosed, the costs were said to be at a steep discount compared to current rental rates elsewhere. With low fees, supplied infrastructure and the freedom to roam the region this new offer seems to be a good deal for smart renters. A major benefit to this arrangement is blue standings to The Imperium. 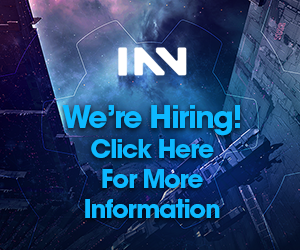 The smaller corporations and alliances that like to gripe about Goonswarm being too strong might want to take advantage of this opportunity to gain the stability granted by The Imperium’s reach and power in addition to a quiet region of nullsec to call home. And so it was proclaimed. Everything is relative in nullsec. I assume you’ve been there. The annoyances we see next door in Delve – solo PVP heroes, Excavator booshers, Bombers Bar flunkies with a penchant for getting themselves Bosoned – are in every region of nullsec. All these things are less effective in delve because of the ultimate super umbrella of crazy doom. No other region leaves you at risk of being boson-ed on every-single-gate, or taking a gate and finding ten titans smartbombing on rotation waiting for you. I’ve taken my loki and my proteus through everything now except my home blue space up in Deklein, and though I keep coming back to Delve – my favourite “Target Rich Environment” – it is easily the most threatening area to operate in. The best part I guess is when you actually take a day trip to provi and the locals try to catch you, it’s just cute. When you’ve been chased around a region by Raikiri and his merry band of bosoners, everyone else seems kind of pathetic by comparison. We don’t mind people coming to poke around our neighborhood. It’s content that is close to home. A lot of our roaming fleets travel a long way or take chances on one-way wormhole trips to get fights. So if someone wants to come to us for a brawl, it saves me a bunch of mindless free burning across the map and back. You’ve no idea how jealous I am of the 1DQ -> J5A jump bridge pathing. The Imperium continues to lead the way in developing new and emergent gameplay. It will be really interesting to see how this all plays out. Thankfully the MER should show only too well how things are going there. It will likely take some time to ramp up and I suspect that there will be some that will be very keen to interfere as it is such a threat to their own income streams. Not saying you are necessarily wrong, just that it can’t both be a great thing and a terrible thing at the same time. That article makes it clear that PL’s failure is its inability to adapt to Aegis sovereignty (FozzieSov). Neither PL nor its renters use their space; hence, PL’s rental empire is ineffective, unprofitable, and vulnerable. Just check the MERs. PL wants to fill its space with a bunch of impotent serfs without offering supercapital protection to make that space worth living in. Not surprisingly, its renters make poor caretakers of PL ADMs. Goonswarm / Imperium utilizes its sovereignty more fully than any other alliance or coalition in the game. As a result, Delve is remarkably secure, as some of the other (non-Goon) comments describe below. All indications point to Period Basis being an extension of that model rather than an exception. The Imperium, unlike PL, has a supercapital umbrella on call at all times to defend its sovereignty and its allies.